In 1999, Swiffer made its debut and soon established itself as both a pioneer in the cleaning systems category and a pop culture icon. 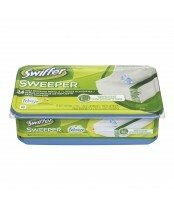 Swiffer products have starred on Saturday Night Live, have been featured in Hollywood blockbusters, and have graced the cover of Rolling Stone. With the support of Swiffer fans around the world, Swiffer has built a family of distinctive products built smarter than traditional cleaning tools. 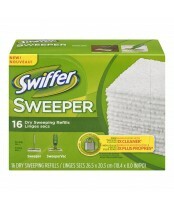 Today, Swiffer Sweeper, Swiffer Sweeper Professional, Swiffer SweeperVac®, Swiffer WetJet®, Swiffer Dusters, Swiffer 360 Dusters, Swiffer Dusters Extender, and Swiffer Dust and Shine are used in more than 50 million households worldwide and continue to revolutionize the way people clean.